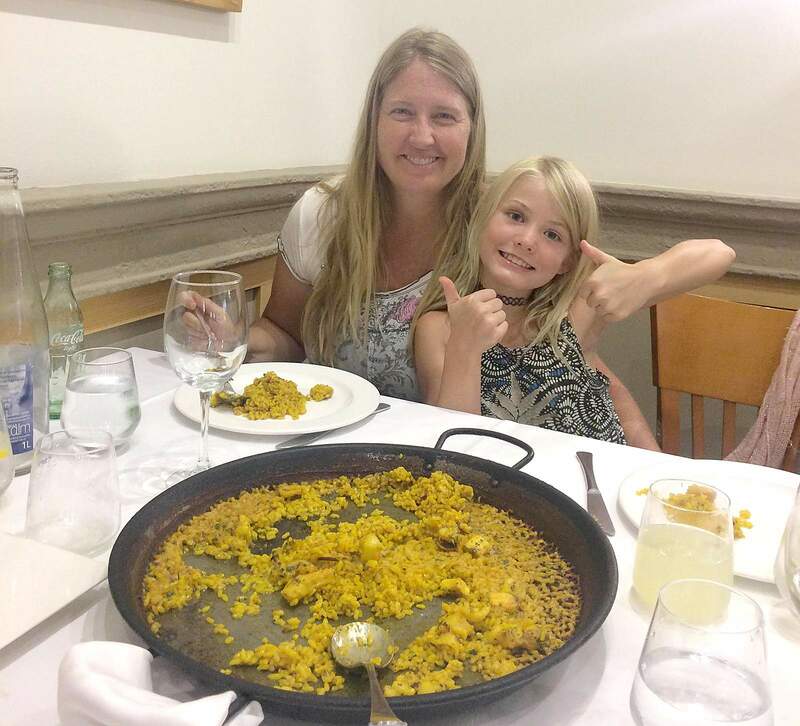 Sally Shuffield and her daughter eat paella at Restaurante Navarro in Valencia, Spain. Tapas at 11 p.m. are only for special occasions on the town when you have kids, so we’ve been having melon, bread, olives and cheeses for tapas around 8 p.m.
Jamon (ham) for sale at Central Market in Segunto, Spain. 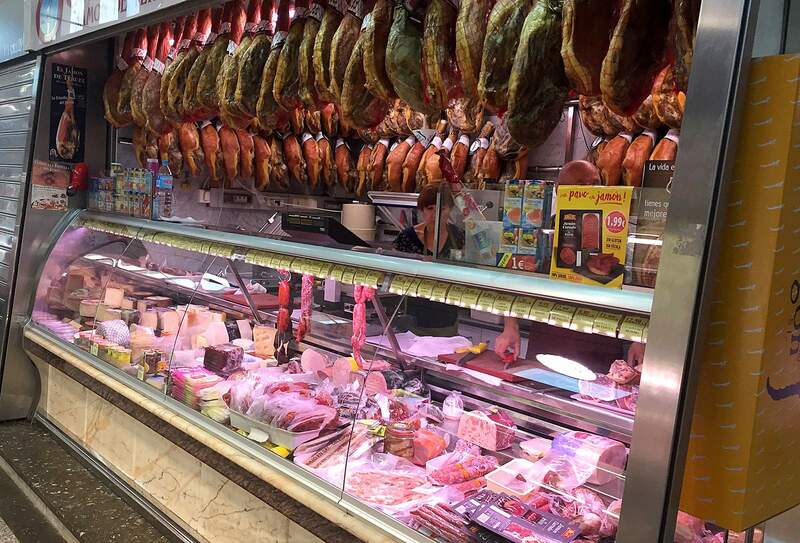 Ham is the meat of choice in Spain. We uprooted our Durango teenager and grade schooler, left our jobs, found a friend to take our dog and packed up our house. It is an amazing experience and our hope is we will come back bilingual and with a better understanding of more of the world. Even though we hope to incorporate some traveling, it's not a vacation. It's the little things that make you realize you're in a new country on a new continent. These things aren't expected because they are things you don't notice until you try to act as if nothing is different. Just like learning language, we all grow up learning how to function in our world. So, in addition to learning how to speak in a new country, it takes time to learn how to act, as well. For the next year, this column will focus mainly on what it is like to actually live in a new culture. 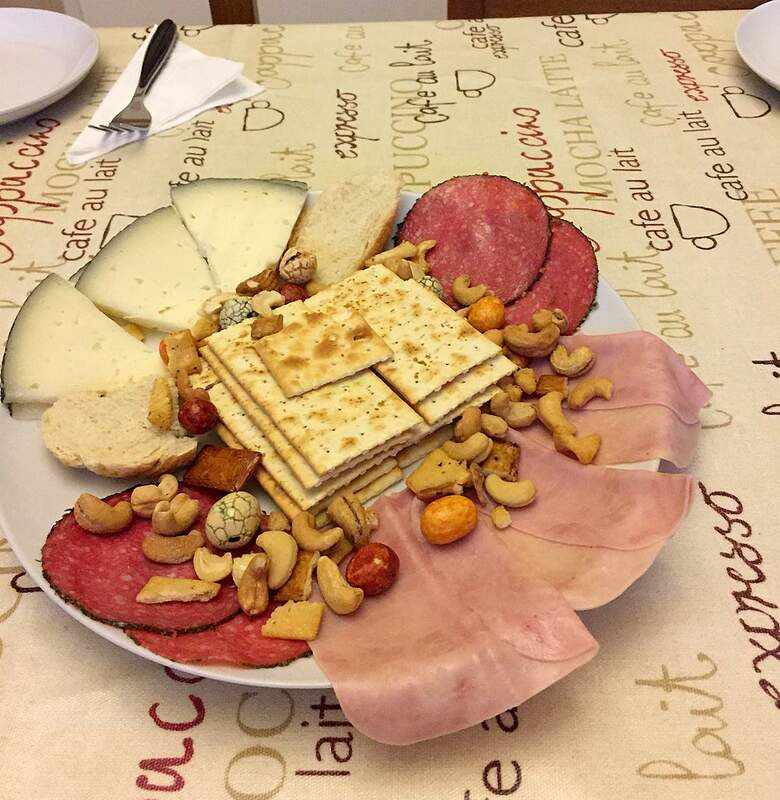 Tapas at 11 p.m. are only for special occasions on the town when you have kids, so we've been having melon, bread, olives and cheeses for tapas around 8 p.m. This leaves the main mid-day meal. We have cut back on beef, fallen in love with a specialty jamon pizza and tried to incorporate rice dishes and seafood. The big obstacle to cooking like a Spaniard is getting foods from the market to your table. You really need to grow up cooking in Spain or have a strong affinity to learn (luckily, Mike, my husband, does). Ham, the meat of choice here, is bought in large slabs, all shrimp have their heads, mussels have their beards and fish can be presented with their tongues hanging out. Legumes must be soaked, broths must be made for rices, and rubbery squids must be chopped and marinated. The mid-day meal doesn't just take a long time to eat, it takes a long time to prepare. Embracing life in a new country requires letting go of old cravings and habits. Spain makes this easy by not even offering familiar options. It's actually nice not to be catered to as Americans. You either figure it out, go broke or go hungry.